We all know how hot and dry can be the weather in Oxford, manly during summer season. Sometimes it makes impossible to leave home during sunny time and makes the commute to work and work time very tedious. It is important to count with a good air condition system at home and the office. Air conditioning contractors in Oxford offer you great products and services so that you can be comfortable while the heat outside is barely bearable. 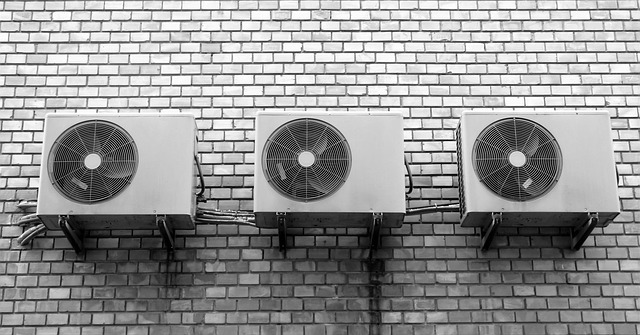 There are plenty of companies in Oxford working with the top air conditioning brands, but it is essential that you bear in mind the next tips. Do not choose only based in the prices. Compare different air conditioner costs but always keeping an eye on the energy efficiency of the system, installation requirements and capacity. Pay attention to the after-sale services. The best air conditioning companies don’t finish their work with the air conditioning installation but also offer other services like warranty and air condition repair services. They also count with air conditioning specialist that can provide you with the best advice about the maintenance of the ac and recommend you the right system for your house. Check whether it counts with dhimmification functions and how noisy it is. Better if it is multipurpose. Heating and air conditioning functions with a single system is great to enjoy cool temperatures during summer and keep our home warm in winter..
At Infoisinfo we always w ork hard to be able to show you where to find the best products and services for you and your company in Oxford whatever your needs are. This time, we would like to help you to create the best atmosphere and climate at home or work. For this reason, we have prepared a list of the best air conditioner companies in Oxford which will provide you either with residential air conditioning or commercial air conditioning. Get in touch thanks to the contact details available on our website like phone numbers, address, websites and opening times. In addition, you can have a look at comments and valuations from other clients to get a better idea about the quality of the air conditioning services and the ac repair costs.